Tinting windows might not look all that difficult, but it is. It involves a good amount of patience, skill, and a remarkable eye for detail. That’s what makes Massive Mobile Window Tinting stand out in the world of window tinting. Whether it’s a new truck, an older sports car, a home, or an office, we’re the ones to do the job. To ensure the best results, we use the latest nano-carbon technology and up-to-date premium products. 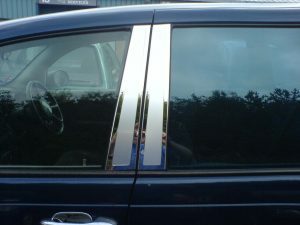 Additionally, all our tinting technicians are highly skilled and motivated workers who carry themselves professionally. When the sun constantly enters the vehicle, it bleaches and discolors the interior. Seats covered in leather or textile can take on a weathered appearance. With windows tinting, vehicle interiors can look as good as new for years to come. When sunlight is deflected off the windshield during the day and the glare of other vehicles’ lights is diminished at night, driving becomes safer and easier. Mobile Window Tinting guards against over 99 percent of harmful UV rays, protecting driver and passengers from skin-threatening radiation. 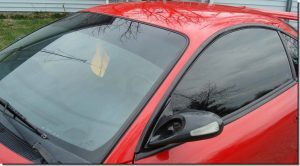 Windows tinting creates a barrier that doesn’t allow solar rays to flood into the vehicle or building unobstructed. Reduction in the amount of sun entering means a reduction in heat and an increase in your comfort. Check out the services we offer or call us at (407) 429-1795. Our storefront location is at 2721 Forsyth Rd in Winter Park, Florida. We come out to Winter Park and all Orange County towns as well as Casselberry, Oviedo and all Seminole County.